If you are looking to find office space, Congleton is one of the best options in the UK. It has an excellent location, being just a short distance away from the thriving business hub of Manchester, meaning that it has excellent transport links. You can reach the city centre in only a brief journey, as well as accessing activities and business opportunities in the more local area. Adelphi Mill is situated close by to Congleton, so it enjoys the same kind of location benefits that you would get anywhere in this region. You can get all the positives and yet pay lower rent thanks to the specific location of the mill, even though it has access to a main motorway, train station, bus routes, and even Manchester Airport thanks to the excellent transport options nearby. The offices are also fitted out to a high standard, inside an historic Grade II listed building which has a strong presence in the surrounding countryside. For more information about Congleton itself, you can find out what kind of amenities are around by checking out the best tourism activities as recommended by TripAdvisor users. As for the history of the town and how it came to be situated in such an important place, all of that information is available on Wikipedia. It has a busy town centre with plenty of shops and restaurants to browse, as well as a strong community of business owners. How much money do you need to fund your start-up? Or how about the cost of taking your business to the next level? It’s likely to be a substantial figure, which is why it’s so important to save money on your overheads. Congleton offers a fantastic opportunity to relocate to an area which provides so many big-city benefits at small-town prices. Especially given the financial crisis of recent years, it’s important to think about ways to save on your bottom line before it ever becomes an issue or a concern. There’s no reason to put up with the shockingly high rent rates of the city centre, when you can get access to all the customers you need in an even better office but pay far less. The office space Congleton has to offer really ticks this box, and Adelphi Mill is subject to a large amount of footfall on a daily basis – just like the high street. This outstanding community of businesses includes both big name chains and small traders, so you will be perfectly at home in Adelphi Mill no matter what size your company may be. The fully established scene here will allow you to make a lot of new connections, both in terms of business partnerships and a new range of clientele. These larger businesses also give you the chance to expand your influence beyond just the local area. What if you could team up with a company that has branches in Scotland, Wales, Ireland, London, or abroad? This is the kind of opportunity that could send your business up to a new level, and really kick things off for you. There’s no strings attached when you take an office at Adelphi Mill. Everything is exactly how you see it, with the prices stated up front and no hidden costs. All of this also gets you a place in an exclusive building which has recently undergone a multi-million pound makeover – that removed none of the charm. For office space near Congleton, there has to be only one choice: Adelphi Mill is the right fit for you. There are a lot of debates about where the best place to open an office is. Do you set up your headquarters in a city so that you’re near to a commerce centre, and close to where your customers already shop? Or do you find an attractive green space that will give your employees higher job satisfaction, and could make your customers happier to drop by? Here’s the lowdown on these options. Having an office in a city does have plenty of advantages. You are close by to a lot of other businesses, which means an increase in footfall as well as a higher level of credibility. You also may have access to more resources: if you’re based next to a print shop, for example, you could find that it’s a lot cheaper and easier to get leaflets printed advertising your next sale. In terms of finding new customers, that could be as simple as walking out onto the street and getting some attention. Your employees will also find commuting easy, since transport links are good within cities. However, there are also downsides to a city office. If you aren’t customer-facing but rather want a headquarters that will be closed to the public, then there’s little advantage to being on the high street. Rent and rates are also a lot higher in city centres, and while this can be a sign of success and high class, it’s also a very quick way for a company to go under. Your employees may feel more stressed, tired, and unhappy with their working environment thanks to the background noise, air pollution, and travel required to get to work. So, how about setting up an office somewhere in the countryside? There can be a lot of benefits to this option. Having beautiful scenery around can really help employees to relax more and unleash their creative side, and they may feel that they have more job satisfaction as a result. The offices out here are much more affordable, and as a result, you may even be able to opt for a larger space whilst still saving money – so your staff don’t feel cramped. Customers and clients may be impressed by your green setting, leaving them more inclined to do business with you. On the other hand, there are, of course, some disadvantages too. It may be harder for both employees and customers to reach you, unless you live in the local area. It will be more difficult to establish a retail foothold if your office is also where you sell your products. You won’t have access to other businesses as easily, and footfall won’t be as high. What if you could take the best of both worlds and combine the benefits, without including the disadvantages, of these options? At Adelphi Mill, we have access to green spaces and areas of historic interest, including the mill itself. However, we also have great transport links that give you access to Manchester city centre, the airport, and major motorways – not to mention train and bus stations. Plus, with so many other businesses taking up tenancy with us, high footfall and collaboration with your neighbours are also on the table. Bollington is really starting to attract attention as a new base for business that want to expand, or to open up their first office. But what is it that is catching so many entrepreneurs’ eyes? It turns out, there are a lot of reasons to relocate to Bollington – and these are just five of them. Any business owner knows that finances are both the first and the last word in success. If you don’t balance the books properly, you won’t survive for long. That’s why the prices of rent and business rates are so important. The great news for anyone considering Bollington is that prices here are much lower than they would be in nearby commerce centres like Manchester. Given that the distance isn’t too far, it’s impressive how much you can save. 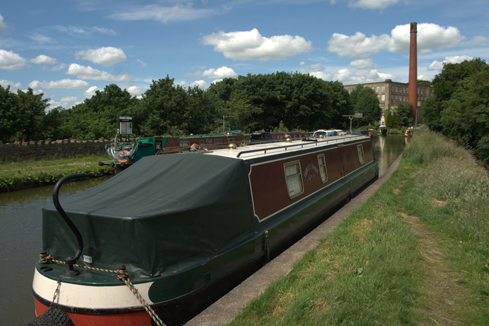 Bollington itself is a great area with a lot of historic connections, as well as green spaces and access to a canal. It’s a great place to work and a great place to visit, which is why a lot of visitors do come here in order to shop, wander around, and enjoy the view. Your employees will be happier working here, especially if it’s less of a drive than it would be commuting somewhere like Manchester, and you’ll have a more relaxed working environment. Plus, with cleaner air, everyone will feel healthier. If you want to head to somewhere that you would consider more of an industry hub, there are plenty of options. You can drive, take the bus, or catch a train to Manchester city centre easily. Rail links are also good to other major cities across the Midlands and North of the UK, as well as down South to London. You can also easily go to Manchester Airport if you want to fly to meet a client or to interact with an international office. There’s a strong business community already flourishing in Bollington, thanks to the great links built here as well as the rising number of companies choosing it for their new base. This means lots of opportunities for collaboration, and higher footfall levels than you might be expecting. Particularly when you share your building with other office tenants, you can take a lot of benefits from having neighbours that include major brands and household names as well as independent brands. While your Manchester city centre options might all be cramped and dingy offices with leaking roof tiles, you can expect far higher quality for your money when you choose to settle in or near Bollington. Good internet access, spacious offices, and high levels of maintenance are all to be expected. At Adelphi Mill we also have additional services available, like a café on-site which you can use for all of your refreshment needs, a gym and climbing wall that you can access, and even a children’s play centre. These benefits plus free parking in well-maintained grounds, 24/7 security, and smart passenger lifts alongside larger goods lifts are the kind of details that really put Bollington on the map. If you’re looking for an office location and you are lost for where to start, it’s clear that Bollington should be high in your estimations. It’s tough to find another location which has such a great mix between the benefits of the city and the upsides of being a little further away from it all. It’s situated at the perfect distance, which is why so many people are setting up business here already. Adelphi Mill is a provider of office space near to Pott Shrigley. Offering spaces to let which can accommodate anyone from sole traders up to international corporations looking to create a new branch office, it’s a great choice for any business. Whether you want to hire an office space or a rent a warehouse, it’s all possible at Adelphi Mill in Macclesfield. Why choose office space near Pott Shrigley? One of the reasons to choose an office spare near Pott Shrigley is that it is ideally situated for businesses in a logistical sense. Pott Shrigley might only be a small settlement of under 300 residents, but it’s also very close to nearby business centres which are much larger. By choosing to go in this direction, you get all of the benefits of the business links without having to pay city centre prices. It’s also a green area filled with pretty locations and historic buildings – one of which is Adelphi Mill itself, a former cotton mill with an interesting story. It also has views of rolling countryside and the Macclesfield Canal, whilst still being near to main roads, a train station, and even not too far from Manchester Airport. As for Pott Shrigley itself, it has a lot to offer. Shrigley Hall is a Grade II listed building which was a private residence for almost 500 years, before being bought and turned into a missionary college in 1926. By 1989 it had been transformed into a luxury country club, including a golf course and restaurant – and a thriving leisure centre. Should you wish to find office space near Pott Shrigley, within an easy commuting distance, then Adelphi Mill is the best choice around. The office spaces available to let at the mill include lots of great benefits, such as free parking, security services around the clock, and the ability to come and go as you please. There’s also access to a large number of businesses who are your fellow tenants, and who may provide services that can really help you to grow – not to mention enjoy your day. With great views, a friendly atmosphere driven by community, and a great location for business links, there’s not much better you can do than these offices in Macclesfield. It’s obvious that a lot of other businesses are taking the area seriously, with big corporations such as the BBC moving from London to Manchester and other nearby locations. The centre of the UK’s economy is slowly moving further North, and you’ll be ideally situated to take advantage of that as it continues to grow. It’s available at a good price, it has great transport and business community links, and it’s ideally situated for both you and your customers. Not to mention the great facilities available at Adelphi Mill right where you need them. What’s stopping you from renting office space near Pott Shrigley today? Overheads are one of tricky factors that every business has to work with. Before you can make a profit, you have to get those overheads covered – which can be especially difficult for a start-up. Use these tips to see your overheads shrink, pushing them to the smallest point possible. Though you may not think it costs much, printer ink and paper often end up adding up over the year and will represent a large part of your office budget. Not only that, but it’s better for the planet if you get your team to stop printing as much as possible. Tell them only to print when it is absolutely necessary. If they shouldn’t have any need, you can even sell your printing equipment so they can’t be tempted. If you’re paying too much for your office space, it might be because you’ve been too hasty to rent an office which is too big for your team. Make sure that you only choose the office which will fit your staff, without extra space, and go with the best possible rates. The same is true of warehouse space or even a retail unit. It’s best to find a managed office which is somewhat flexible, so you can expand again later if you need to. Could some of your employees work from home? If so, try recommending remote work. They will be able to relax more, and you won’t need as much space. They also won’t be taking up resources like electricity, coffee, and equipment within the office, so you’ll gain small amounts everywhere. Do you have a retail unit as well as your office space? If so, you may be paying more than you need to. So long as you have somewhere to store your goods, you might actually make more money just by selling online. These days, having an online store is just as reputable as having a brick and mortar one, and it’s far cheaper. You only have to pay for your web address and hosting, rather than paying rent. Whenever you need something done, try to find a local business that will do it for you. For example, if you need some leaflets printed, you can talk to people around you first. Your neighbours might be willing to do you a bit of a deal in order to get your repeat business, while printers who are further afield might not think the same way. This could save you a lot of your extra costs. Sometimes, you might hire someone only to find that they don’t have a lot to do all of the time. If you need a photographer, for example, they might spend a day each week taking pictures and then sit around twiddling their thumbs. If you have any kind of skilled role where it looks like you don’t really need a full-time employee, consider going for a freelancer instead. They will cost less money because you only hire them when you need them, you don’t need to pay tax or pension contributions on their ‘wages’, and you might be able to negotiate on price. Macclesfield is one of the best places you could place your business in the UK right now. Think that’s an exaggeration? Be prepared to think again, as well go through the top six reasons why you need to move here as soon as possible. Macclesfield is a business hub which always has a lot going on. You will find a large number of fellow businesses here, all of whom are drawing in customers and footfall on a regular basis. This means more potential customers for you – and the same applies if you are a B2B company. An increased number of businesses in any given region means there is a larger support network, customer base, and range of opportunities available to you. On the other hand, Macclesfield is not as busy as cities like nearby Manchester. Although a lot of trade does come from the city, you aren’t based right in the middle of the city centre. This is fantastic, because it means you can rent an office spare, retail store, or warehouse for a fraction of the price that you could in the Manchester city centre. You’re saving money even whilst getting access to a huge customer base granted by the city itself. If you want to visit Macclesfield, you won’t be short of options. Customers coming from elsewhere can use Manchester airport, various train stations including one in the centre of Macclesfield, and the main roads which pass through the area. All of this means that it is easy to get access to any part of the city even if you don’t have your own transport, so customers and staff will never struggle to reach you. The office space at Adelphi Mill is inside a Grade II listed building, a beautiful old cotton mill which has been lovingly restored and refurbished. It now presents an impressive and stunning façade which dates back to Victorian times, as well as a fully modern interior which will provide the infrastructure and professional setting that your business needs. It’s the best of both worlds! Macclesfield is home to plenty of nature walks, including the Middlewood Way, as well as the Macclesfield Canal. All of this makes for some gorgeous scenery even if you don’t stray far from the local area. If you do go a little bit further afield, you will find yourself in the Peak District. All of this greenery can have a calming effect, helping you to settle your business in easier and enjoy your settings even when you are at work. Having that much more room for being outside of the Manchester city centre means having more facilities. You might be amazed at what we can fit in around our office spaces and retail units. We provide a large car park with free parking for everyone, a luxury passenger lift alongside our heavy goods lift, a café and restaurant which is perfect for lunch meetings and catering, a fully equipped gym which our tenants can use for less, and all of your fellow tenants who provide a wide range of different services. There’s no chance you won’t want to use at least one or two of them in a personal capacity! With all of this to offer, it’s easy to see why Macclesfield is a hotspot for business right now. There are so many reasons to move here, and we can’t think of a single reason why you wouldn’t want to. You won’t get a stronger case than that! Brewery Print are one of our fantastic tenants here at Adelphi Mill, and they occupy a very interesting niche that many people may not think about. They print the pump clips that you see in any pub, bar, or club on the drinks pumps – an extremely useful promotional tool for any brewery. Brewery Print is actually a joint collaboration between two businesses. Staffordshire Brewery and Iam Print Ltd teamed up to offer affordable promotional materials for the brewery trade, focusing on high quality and service. As trusted suppliers within their individual fields, they are able to bring that prowess to bear in a deeper way when partnered together. Staffordshire Brewery grew from a small shed in 2002 to a 10,000 foot warehouse, producing high quality bottled beer. They bottle for a range of breweries around the UK and also supply brewing and bottling consumables to micro-breweries. Iam Print are known for fast and high-quality turnaround on a number of printing products, from stationary to posters and brochures. They can also produce magnetic signs, banners, vinyl stickers, window decals, and even wallpaper. While printing pump clips is a very important part of what they do, it’s not the only type of printing that Brewery Print have on offer. They also offer many different services which make up part of the promotional toolkit for any brewery or drinks brand. These include sheet labels and roll labels suitable for use on bottles, roller banners and display stands, poster printing, leaflets, and promotional calendars. You can, of course, find them here at Adelphi Mill. But you don’t even need to, because they have a full website dedicated to their services through which you can upload your files for print and place your orders. You can also email them directly or give them a call via the contact details they have listed there. It’s so easy to order from them online that you likely won’t need to contact them in person, which is always a great sign. This makes it simple for their customers to place orders and repeat them during busy times. You can also follow them on Facebook and Twitter to see their special offers and competitions. We have such a wide and varied range of tenants at Adelphi Mill that you never know who you’ll find around the corner. This is a great example of something completely different from the norm! Why is inter-tenant trading important in 2018? At Adelphi Mill, we’re always pleased to see our tenants trading with one another and making deals that are beneficial for everyone. That’s why we’re keen to help you understand how important inter-tenant trading is, and how it could make a big difference to your business in 2018. If you aren’t getting involved yet, here’s why you should. You may have heard about influencers being used for marketing campaigns. Influencers are people who have a large following on social media or on their blog, and who can help to create sales just by sharing your products or services to their vast audience. However, this trend is starting to slow down. Now, marketers are recommending the use of micro-influencers: people who have a small following in a strong niche, who might have more of a bond and therefore influence with their fans. A fellow small business could certainly count as a micro-influencer. Partnering together will give you both new marketing opportunities that could prove to be lucrative. There is a huge trend right now for local shopping. Following initiatives from many big brands such as American Express, people are catching on to the ethical and economical benefits of shopping with small, local businesses. This is another way you can exploit relationships with fellow tenants. You can supply them, and they can supply you, keeping everything in-house. This boosts the local economy, sustains and supports both of your businesses, and also gives more opportunities for future growth. If you have a client who is also your neighbour, chances are high that they will continue to order from you so long as you produce good quality for them. You’re conveniently located, you become a person rather than just a business, and they feel good to buy from someone local. This means you can count on them to supply you a regular income as they continue as your client. Having that confidence that the order will come in time after time means you can build your business, growing to a higher standard and expanding your abilities. It may give you the chance to order new supplies, upgrade your equipment or packaging, or even hire a new employee with that assured income. Having your neighbouring tenants do well will also help you to succeed. Let’s imagine an example, that you are a web developer who creates a website for a fellow tenant and then maintains it for them on a monthly retainer. Because you were able to offer them preferential rates and build a site that helps to convert viewers into customers, they start to do very well and even manage to expand their business. They open up another subsidiary which sells similar products on a different theme, which means they need a new website – another task for you. Now that you have so much work coming in, you’re able to afford the expense of hiring a second person, which doubles your income without doubling your costs. Now you can provide them an even better service, and the cycle continues! There are lots of reasons to support your neighbours with inter-tenant trading in 2018. Whether you want to support local businesses from an ethical standpoint, prefer to deal with people in person, enjoy getting lower rates from them, or just find it convenient, they are all valid. What’s important is the results – that both you and your fellow tenants can grow your businesses to higher successes as a direct result of inter-tenant trading. There are many reasons why you might be looking for business storage. You might be an online seller with your spare room long-since buried in stock. You might be a large retail business with no space in the stockroom. You might just be a seasonal business which requires different equipment and materials at different times of year. Here are four advantages to investing in a business storage space. The biggest and most immediate advantage is that you get more room to work at your own home or place of business. Without all of the unnecessary stock, furniture, or equipment in the way, it’s much easier to get tasks done. You can add in more desks, or work to seasonal needs. Imagine all of the room you will have once you get everything you don’t need into the business storage. Particularly if it’s been clogging up a spare room in your house, it could literally give you room to breathe. When your unneeded goods are put away in business storage, you can rest easy knowing that they are being looked after. With security around the clock watching over the whole facility, you know that the risk of anything happening to your storage is very low. This may well be a very different situation to what you have for your current storage solution. Once it is out of the way in the storage, you can put it out of your mind with no worry that it won’t be there when you get back to it. With spare stock and equipment out of the way, your existing office space will be much safer. This is very important, particularly if you have employees working with you. If you have towers of boxes and crates, things littering the floor, and a lack of space to move, you are likely in contravention of health and safety regulations. It’s essential to get a safer workspace, and you can do that easily simply by putting whatever you aren’t using into storage. Once you have a dedicated business storage space, a lot more potential opens up. You can buy in more stock to fill it up, which means you can sell more in bulk as well as being able to anticipate your most popular items and prevent them from selling out. This in turn opens you up for more potential profit, and you may also be able to get cheaper wholesale prices if you purchase more stock at once. All of this will allow you to grow your business more quickly, and take it to the next level.